“I haven’t seen a snow swamp of this size develop this quickly ever,” said Pelto, who has spent 38 years monitoring glaciers in the region. 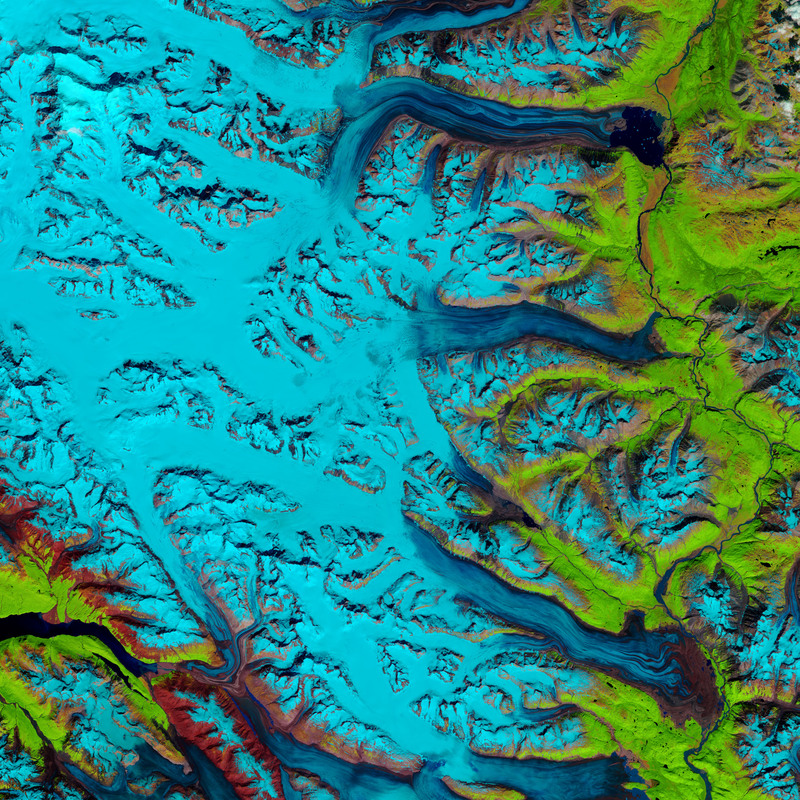 The false-color images above show the progression of the rapid snow melt in the Kluane National Park in the Yukon Territory. 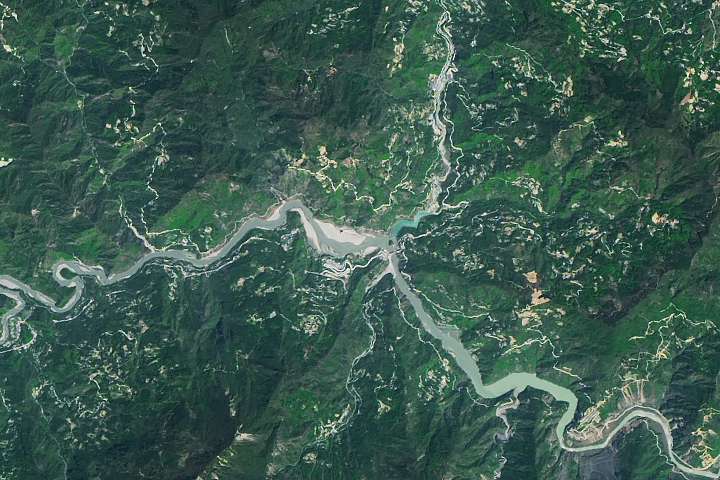 The left image was taken on July 22, 2018, by the Multispectral Instrument on the European Space Agency’s Sentinel-2 (bands 11-8-4); the right image was acquired on July 26, 2018, by the Operational Land Imager (OLI) on the Landsat 8 satellite (bands 6-5-4). 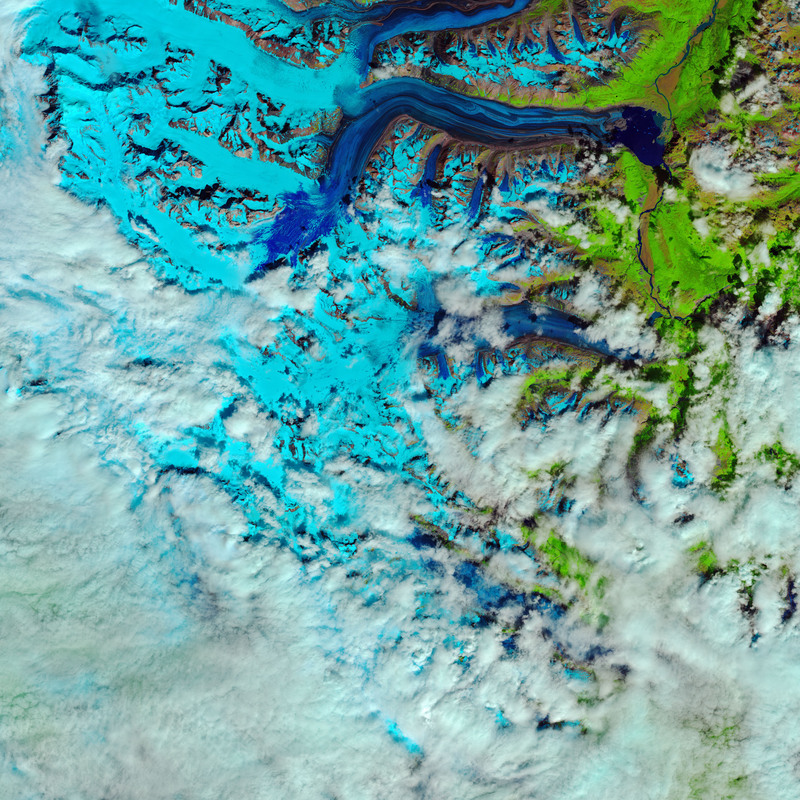 In these images, short wavelength infrared (SWIR) bands are combined to better differentiate areas of water that are frozen (light blue) from those that contain significant meltwater (dark blue). Rocks are brown; vegetation is green. 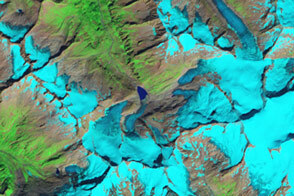 On July 26, the slush covered an area of more than 40 square kilometers (25 square miles). 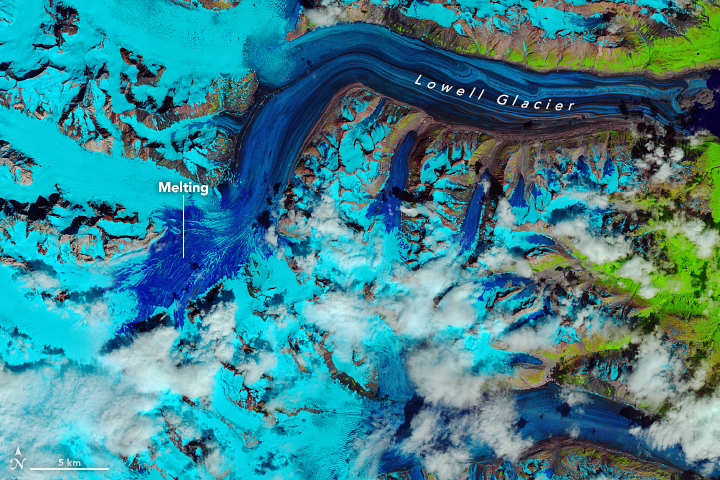 Pelto has seen similar puddles of slush on other glaciers, but the rapid development of such a large melt area on Lowell Glacier is unusual. “The only way to generate such an extensive snow swamp is to have the snow saturated with water all the way to the surface,” he said. High temperatures caused the extensive ablation event—the loss of surface ice due to melting—according to Pelto. During those four days, daily temperatures at nearby Haines Junction (approximately 60 kilometers/40 miles northeast of the glacier) reached 29 degrees Celsius (84 degrees Fahrenheit)—higher than normal for the region in July. The slushy pool disappeared quickly as the snowpack melted. 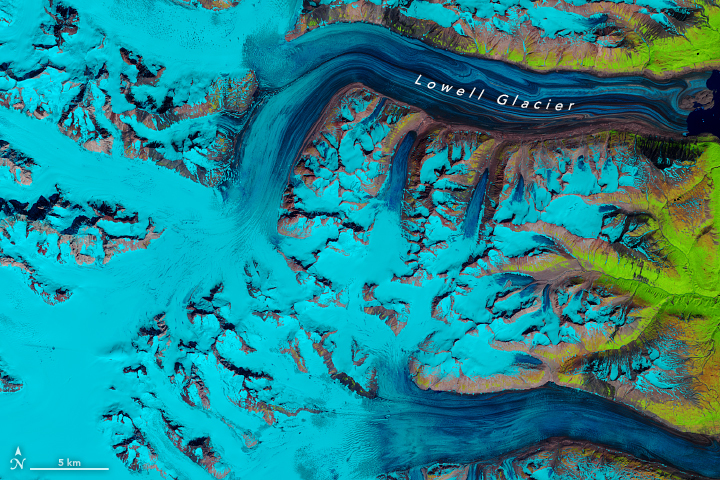 By August 11, the slush was lost from the glacier system, flowing into Lowell Lake at the end of the glacier. 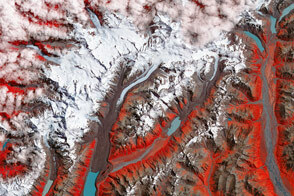 Pelto said such a large loss of water should drive the glacier to retreat more. 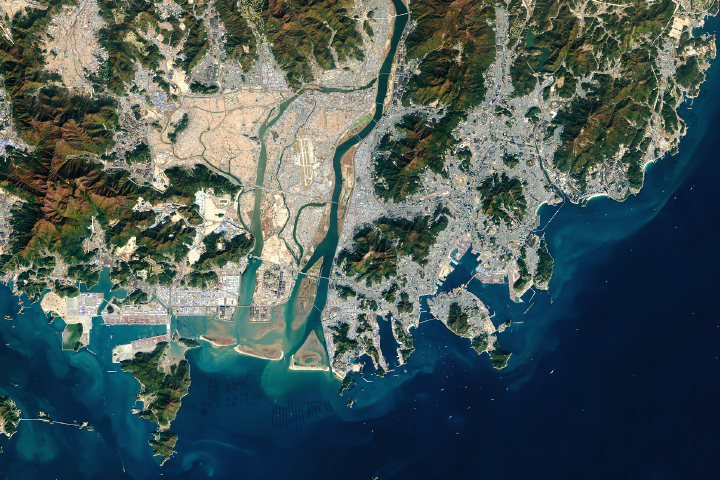 NASA Earth Observatory images by Joshua Stevens, using Landsat data from the U.S. Geological Survey and modified Copernicus Sentinel data (2018) processed by the European Space Agency. Story by Kasha Patel. 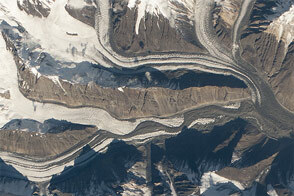 A large expanse of snow on the Canadian glacier melted in just four days due to warm temperatures. AGU Blogosphere: From a Glacier’s Perspective (2018, August 29) Major Late July Meltdown on Lowell Glacier, Yukon. Accessed August 30, 2018. Government of Canada (2018) Daily Data Report for July 2018. Accessed August 30, 2018. Government of Canada (2018) Canadian Climate Normals 1981-2010 Station Data. Accessed August 30, 2018.